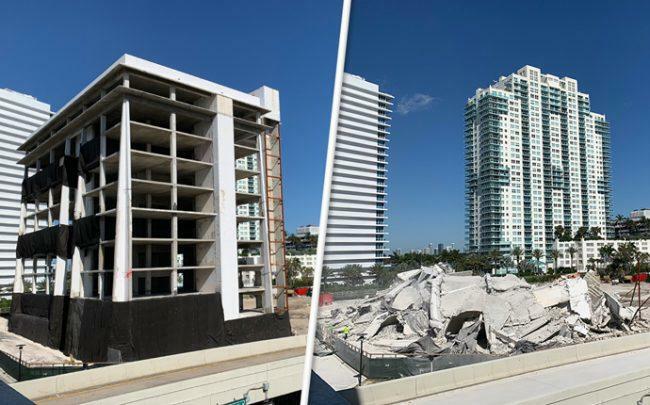 With the pull of a lever and 235 pounds of explosives, developer Russell Galbut imploded a building – paving the way for his mixed-use residential tower in South Beach. Galbut and Terra developer David Martin, who recently joined the project, counted down before a crowd that included Miami Beach Mayor Dan Gelber and city commissioners John Aleman and Michael Gongora near the former Shore Shore Hospital building Tuesday morning. Miami Beach police had shut down a 500-foot area surrounding the shell of the 10-story building. 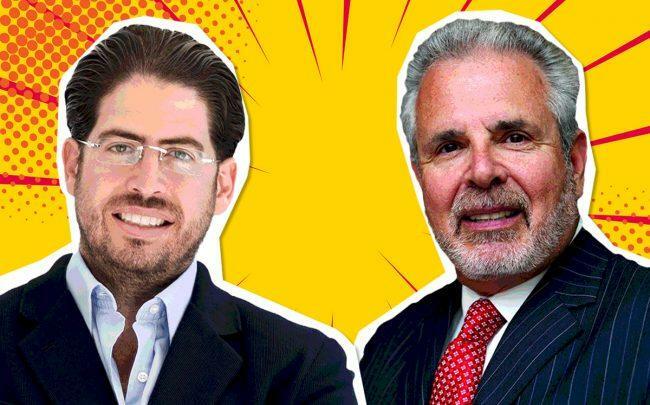 Implosions aren’t typically allowed in Miami Beach, but Galbut appealed the city’s rejection through the Miami-Dade County Board of Rules and Appeals. The contractor, BG Group, said it was the safest and quickest way to knock down the building, according to the Miami Herald. Last year, a Miami Beach building unexpectedly collapsed during a planned demolition, killing a project manager. The family of that manager recently sued the developer and contractors, citing a wrongful death. Gelber called the former South Shore building an eyesore for the community. Crescent Heights and Terra are building the Park on Fifth on the property at 500 to 700 Alton Road. 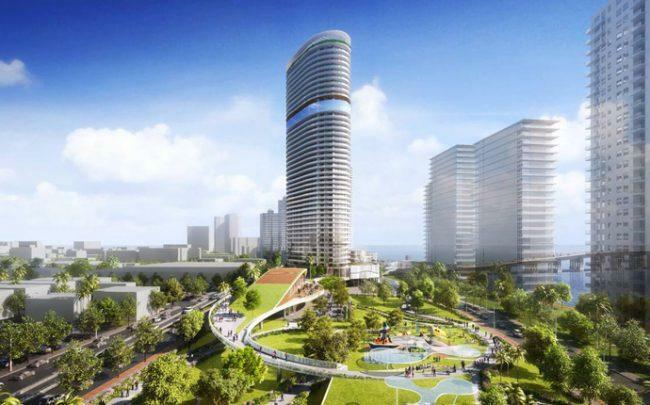 In December, the Miami Beach City Commission approved zoning changes and a development agreement that allows Crescent Heights to build a 519-foot, 44-story tower on the 500 block of Alton Road. As part of the deal, the developer will build a 3-acre public park, designed by Arquitectonica GEO, on the 600 block. The approval was years in the making for Galbut, whose company paid $35 million in 2004 for the hospital, founded in 1968. At the time, Crescent Heights promised to keep it as a hospital, but ended up shutting it down in 2006 after it went bankrupt, according to the Miami Herald. Galbut proposed a number of projects for the property, over the years, including retail and residential developments. Galbut is aiming to complete the project within 28 months, but said at a recent community meeting that the contractor requested a 30- to 32-month timeline.